Each year when spring arrives, two things are always certain. One, I am pleased to say good-bye to the frigid weather, and two, I am in desperate need of inspiration. Maybe it is the blank, white slate of snow on the ground combined with the spirit of New Years Resolutions, but by the middle of January I am ready to move on. Attending college at George Mason University located on the periphery of Washington DC has provided me with quite the snow-filled winter. This year I was more than thrilled when the first day of spring arrived. As a college student majoring in Public Relations, spring has always meant the start of a new semester and learning new material. However, this year the routine of the season shifted due to my recent experience. I have officially declared this the spring of Fashion PR Confidential because of the impact that it had on me. My time at Fashion PR Con positively changed my entire mindset about what I want to do with my future in Public Relations. ‪As a member of George Mason University’s chapter of Public Relations Student Society of America (PRSSA), I am constantly receiving emails with information on workshops, internships, and networking opportunities. It was through PRSSA that I found out about Fashion PR Con and when the opportunity of attending in New York City presented itself, I immediately reserved my spot. This year marked the third consecutive year of Fashion PR Confidential led by prcouture.com’s very own Crosby Noricks, as well as the fabulous Danika Daly. I took advantage of this opportunity and it far exceeded my expectations. I learned more about what I want to do with my career as a fashion publicist during this weekend than I will during my entire undergraduate career. Fashion PR Con enhanced my academic career by introducing me to what I am able to do with my major after I graduate as well as what I should do to gain work experience while I am still in school. ‪I began my weekend in New York covered in snow standing in a cab line with no umbrella- suddenly, I had become a blank, white slate on the first day of spring. Freezing cold, I took a moment to absorb everything that the first breaths of New York air have to offer. Whether you are in Soho or the Upper East Side, the inspiration that the city offers is endless. Fashion is the heartbeat of New York, making the city ideal for an aspiring PR girl looking to jumpstart her career, which is exactly what I did during my weekend at Fashion PR Confidential. ‪It is vital to recognize how your press pitch correlates to the editorial calendar, or seasonal themes, of major magazines such as Vogue, Elle or InStyle. For example, one cannot pitch a Fall/Winter collection when the editors are featuring Spring/Summer collections. Print magazines work several months in advance. One of my favorite parts of the weekend was learning how to construct the perfect pitch, and receiving personal feedback on what I had written. Crosby and Danika also covered constructing an outreach strategy for an influencer such as a style blogger or celebrity as well as fashion shows and events. 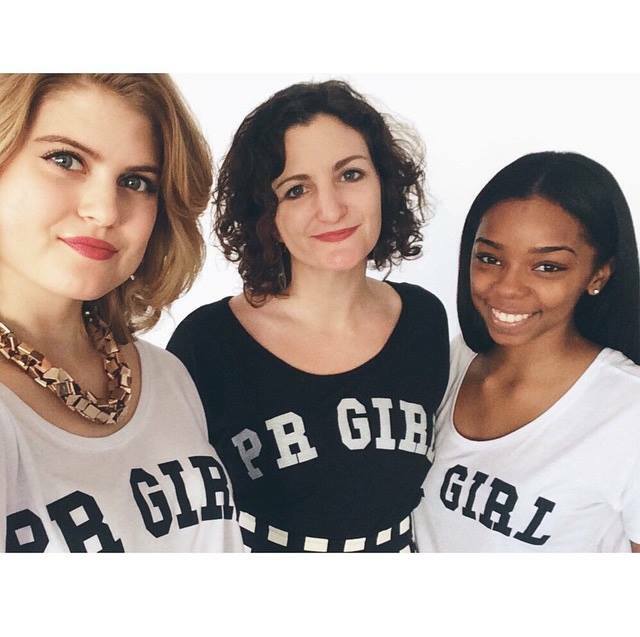 It is vital as a PR girl to recognize how the pitch correlates to the editorial calendar of a major magazine, such as Vogue, Elle or InStyle. ‪It’s also as vital as a PR girl to recognize how the pitch correlates to the editorial calendar of a major magazine, such as Vogue, Elle or InStyle. I was fascinated to learn the different layers of strategy that are involved in Fashion PR and I was thankful to hear this information as this is not material that one will learn in a classroom of his or her college. ‪After two full days of instruction and hands-on experience through break-out sessions, it became clear to me that fashion PR is centered on collaboration and relationships. Not just surface-level partnerships, but genuine connections that you must cultivate and maintain to achieve success. As a team, Danika and Crosby reiterated the importance of forming an effective PR plan, no matter the client or situation. While there are differences between working for a PR agency versus in-house for a brand, the end goal is identical: to support the larger business goals of a brand through various communication strategies, including press coverage that presents the brand in both a positive and influential manner. After two full days of instruction and hands-on experience though break-out sessions, it became clear to me that fashion PR is centered on collaboration and relationships. I began Friday as a blank slate begging for change and by Sunday afternoon I was a vibrant, colorful canvas painted with the tools and creative ideas needed to begin my career as a fashion PR girl. ‪The biggest value overall was learning that as a publicist you cannot use a “one size fits all” approach to PR. You must tailor your plan to the specific task or project, while simultaneously taking the target audience into consideration. ‪On the train ride back to George Mason University, I enjoyed recalling the passion-filled anecdotes and unique experiences shared by Crosby, Danika, guest speakers (Canon Hodge, Dria Murphy and Courtney Quinn), and fashion publicists who joined for the speed networking round. Networking with established professionals in the industry provided me with contacts and references that will not only shape my immediate educational path but my professional career as well. Relationships like these serve as the building block of a career in Public Relations and it is a privilege to have gained such connections. 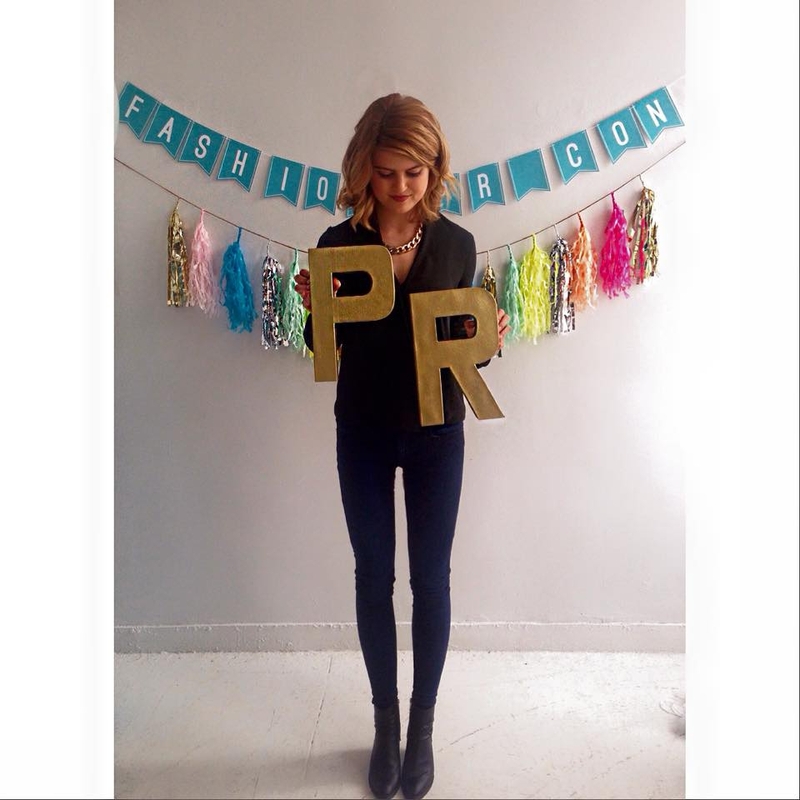 ‪Alongside more than two-dozen other ambitious PR Girls, Fashion PR Con provided invaluable connections and knowledge. I left the workshop with a new level of confidence regarding what career paths are available in the world of Fashion PR. 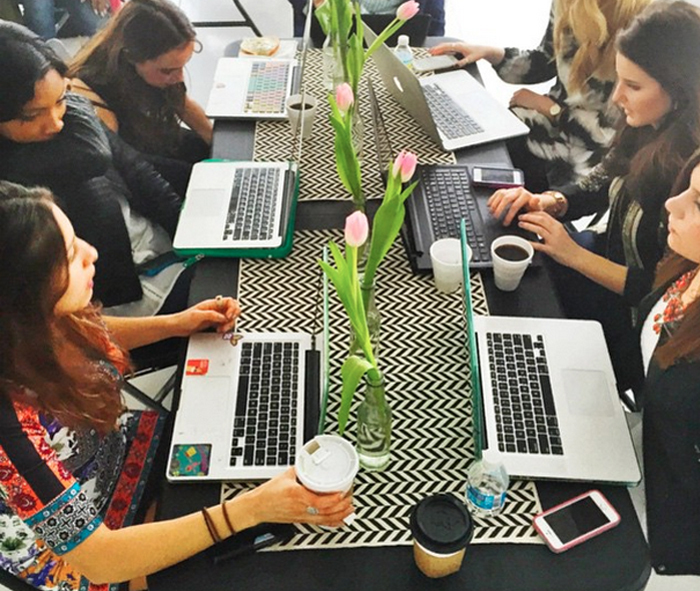 The opportunities are endless and I witnessed this firsthand through the speakers at Fashion PR Con. If you’re an aspiring fashion publicist or are currently working in the field, follow my advice and take advantage of this incredible chance to boost a successful career. *Editor’s Note: Be sure to sign up for emails and like Fashion PR Confidential on Facebook for future workshop dates and details! 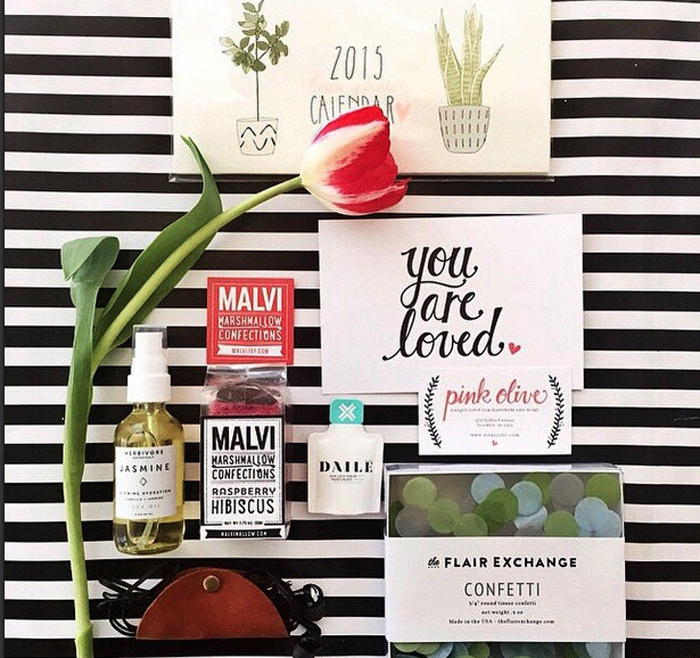 And a special thank you to our awesome sponsors: Malvi Marshmallow Confections, Herbivore Botanicals, Hartland Brooklyn, The Flair Exchange, DAILE, This Is Ground, Pink Olive, Pretty Please Nail Polish for providing the perfect PR Girl goodies. ‪Ashley is a freshman at George Mason University majoring in Communication with a concentration in Public Relations. She is a devotee of all things high fashion, travel, and pop culture. A member of PRSSA and GMU Fashion Society, she enjoys staying busy and involved in a variety of projects. Ashley began writing for the News and Lifestyle columns of George Mason’s IV Estate newspaper in Fall 2014 and she dreams of reading her articles in Vogue magazine in the near future. Ready to work hard to achieve her goals, Ashley is fearless and dedicated to establishing herself as a fashion PR girl. Be sure to follow her on Instagram!